The world is strange and it contains a lot of wonders and mysteries.Human timeline on the earth is not long enough to explore all these uncertainties. The famous mysteries being discussed by people include the Bermuda triangle,the black hole,the unidentified flying object etc., Bermuda triangle also popular among people as the ‘Devil’s triangle’ is the loosely-defined region in the western part of north Atlantic ocean where a number of ships and air crafts have disappeared. This disappearance is due to air suctions. However leaving behind these uncertainties, the world has some magical places, where the magic is visible.The Earth is divided into north and south by an imaginary line called the ‘Equator’. Your geography teacher would have taught you all about this ,if you had not been absent that day. 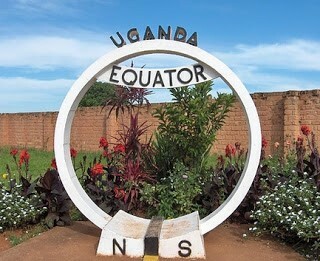 The Equator which you were shown in the globe passes through Uganda. 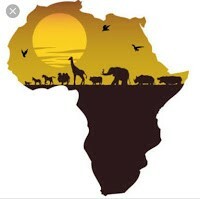 6 amongst these 10 countries are African countries.You might wonder about the speciality in the passage of the Equator, but there sure is something special. Place a bowl on the region above the Equator i.e. the North pole region. Keep pouring water into the bowl. You may observe that water in the bowl rotates in the clockwise direction. Keeping the bowl in the south zone makes the water rotate in anti-clockwise direction. What do you think will be the effect of the Equator on water right through which it passes. Yes of course, your guess is right! Water will not experience any motion. How great is this. A space separated only by a few cm has three different variants. And also another effect is that standing on the Equator reduces the human weight by 3%. The Earth rotates about its own axis and it takes about 24 hrs.The diameter of the Earth is maximum on the Equator. And on moving towards the poles its diameter reduces and at poles the diameter is exactly 0. Larger the diameter ,faster the motion. When moving towards the poles the diameter reduces ,and so the motion. This shifting between the region of high velocity motion to that of lower one, the motion becomes exactly linear. So when you travel towards the North pole your path bends clockwise and South ward motion leads to anticlockwise bending. At least once you will have to visit Uganda to experience the magic for yourself. Annamalai, Second year, Electronics and Communication Engineering.